As a teacher, I enjoy helping each student discover his/her own way to value music. Music is a powerful tool of expression. In my opinion, the cello is about the most versatile instrument you can find. It mimics the human voice, and no other instrument can match the tonal, lyrical prowess of the cello. 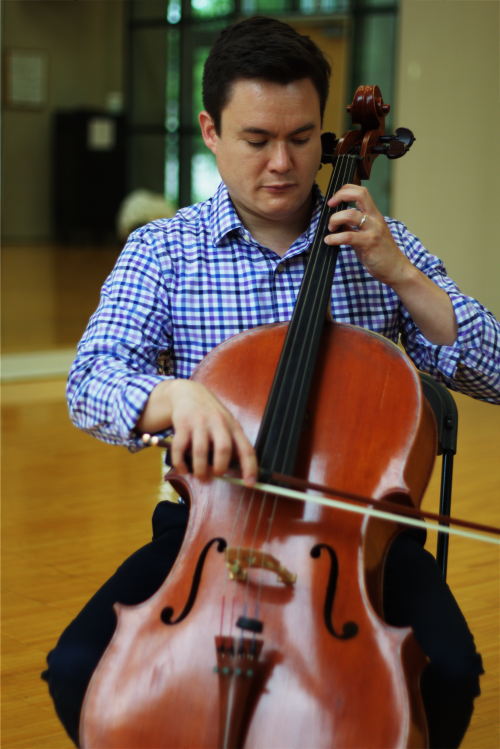 I enjoy helping students understand the expressiveness of the cello as they develop their technique and musical skills. I developed a love for music at a young age since I grew up in a family of musicians. My mother encouraged me to begin lessons, and I quickly discovered a passion for music. As I developed my musical talents, I struggled with physical tension in my playing connected with performance anxiety. As a teacher, I am especially focused on helping students release tension in their playing. In addition to teaching, I enjoy playing with professional groups such as Samford String Quartet of Samford University and the Omega Quartet at the Lutheran Summer Music Festival. I regularly play with the Huntsville Symphony and sub with the Alabama, Charleston (SC), and Tuscaloosa Symphony Orchestras. Prior to moving to Alabama, I was a member of the Civic Orchestra of Chicago, and a substitute player with the Chicago and Milwaukee Symphony Orchestras. I had the privilege of serving as the Assistant Director of Performance Activities at the Music Institute of Chicago. I have studied at festivals including Music Academy of the West, Meadowmount, Kent/Blossom, Encore, and Brevard. As I continue to grow as a musician, my appreciation of the beauty of music continues to increase.